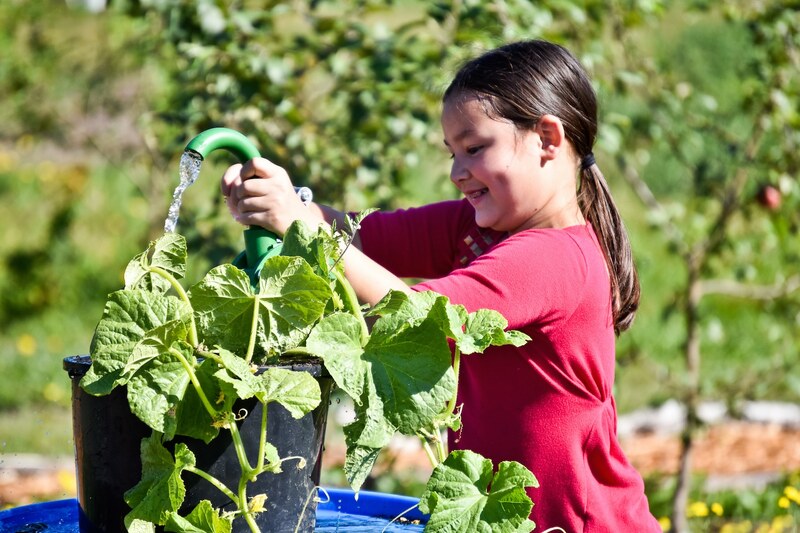 Anya’s Garden is the focal point of our Youth Education Program. It’s the place where nature, agriculture, and whimsy combine to provide visitors with a memorable, multi-sensory experience. From the vermiculture composting bins to the absolutely explosive flora displays and the crop variety trials, everyone will take home a greater appreciation for how food is grown, how it gets to your table, and the amazing changes that take place during the growing season. Anya’s Garden provides an abundance of opportunities to reminisce about bygone days on a farm, or to contemplate a future when communities rely more and more on locally grown food. In addition to the exploration possibilities, student groups may have a chance to plant rows of vegetable crops during field trips or as groups of volunteers. This produce supplies our Harvest Share CSA program for low income fresh food shoppers in our community. We have a vision for a better food system and encourage young Anya’s Garden visitors to get excited and help us realize this future.